From north to south the members of this band have gathered to play music and improvise. 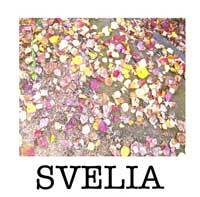 SVELIA is a collaboration of five Swedish & Australian musicians. Here, influences from both the European and Australian jazz and improvisational scenes are fused together. Their original compositions and improvisations are full of relentless fervour, honesty, culture fusion and collective interaction. SVELIA is a unique musical experience where the spontaneous is encouraged, the unconventional is explored, composition is open to interpretation and where intuitive joint expression weaves everything together. Casey Moir graduated from The Australian National University in Canberra with he Bachelor of Music Performance, majoring on voice, in 2005. Since moving to Sweden in 2007 she has also completed her Bachelor of Improvisation at the Academy of Music and Drama, in Gothenburg Sweden 2011. She has performed at festivals and venues both in Australia and Sweden such as Wangaratta Jazz Festival (AUS), Luleå Blues Festival (SE), Umeå Jazz Festival (SE), Färgfesten (SE), Kulturhamnen (SE), Share Simplicity (SE) – small bands festival, Make It Up Club Melbourne (AUS), Stutter (AUS – Free Improvisation and Sound Art concert series), and UPOP concert series (NOR). 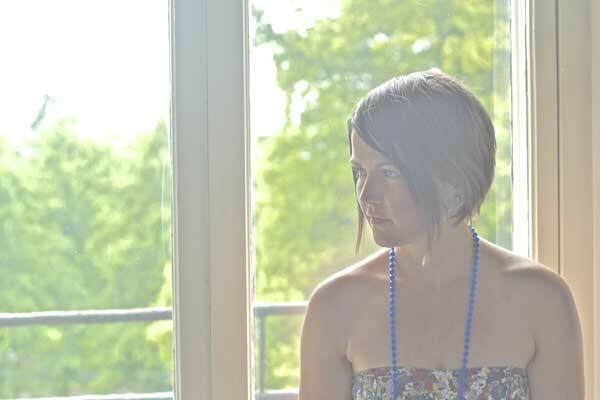 She has performed with Australian artists Luke Sweeting, Alice Hue Sheng Cheng and Kevin Lo. She has performed with Swedish and other international artists including Naoko Sakata, Atle Nymo, Eivind Lönning, Håkan Mjaaset Johansen, Maria Norseth Garli, Nina De Heney, Alfred Lorinius, Martin Öhman and Johan Moir. She is a member of and most often composer for many different constellations such as MOCO (piano/voice improvisation duo), Naked (solo free improvisation), The Casey Moir Band, The Johan Moir Ensemble, Macabre (NOR/AUS free improvisation voice/voice duo) and Mother Jack. She has been the recipient of many scholarships including Kulturrådet Bidrag for Friagrupper (2011), Sandrews, Helge Ax:son Johnson and Alderbertska. In January 2013 she will be releasing her debut album ‘MOCO’ together with pianist Naoko Sakata on the Swedish record label LJUP. Reuben Lewis graduated from The Australian National University in Canberra with his Bachelor of Music Performance with Honours, majoring on trumpet, in 2011. He has performed at famous Australian festivals such as Wangaratta Jazz Festival, Sound Out, Now Now Sponataneous Music and Experimental Film Series, Woodford Folk Festival and the Canberra International Jazz Festival. Reuben has performed with many Australian artists including Mal Webb, Miroslav Bukovsky, Gary France, Mike Majowski, Larry Stitsky, John Mackey, Zoe Hauptmann, Jamie Oehlers and James Greening. He has also collaborated with international musicians such as Bob Mintzer, Allan Otte, Dr John Lane, Alex Huber and Tristan Honsinger. Apart from appearing as a sideman on several albums, he has released 2 albums comprising of original compositions: Samadhi (2009) – which received national airplay on ABCs Jazztrack Australia – and Fractured Spring (2011). Luke Sweeting is a young Australian pianist and composer who completed masters of music performance under the prestigious Dennis Griffin scholarship in 2009. Studying at ANU with Australian trumpet legend Miroslav Bukovsky, Luke has gone on to lead some exciting bands like his sextet with the album release ‘People and Lightbulbs’ (2012) and his duo collaboration with singer Rachael Thoms releasing ‘The Great Unknown’ (2011). This year Luke arranged and recorded with the young award winning vocalist Liam Budge. Luke has had the opportunity to perform alongside many incredible artists like Sandy Evans, James Greening, Johnathan Zwarts, Don Burrows, Jamie Oehlers, Miroslav Bukovsky and many others. Luke has performed at the Shanghai World Expo, Magnetic Tropical Island Jazz Festival, Canberra International Jazz Festival and Wangaratta Jazz Festival. He is also regularly commissioned by the National Sound and Film Archive to perform for famous silent films. In 2010 he won the Sprogis Woods Composition Competition for his large ensemble piece ’Sound Canvas’ and was subsequently invited to help adjudicate the competition. Luke has supported George Benson, Vince Jones, 20th Century Dog and Zoe and the Buttercups and teaches the pre-tertiary program at ANU School of Music. 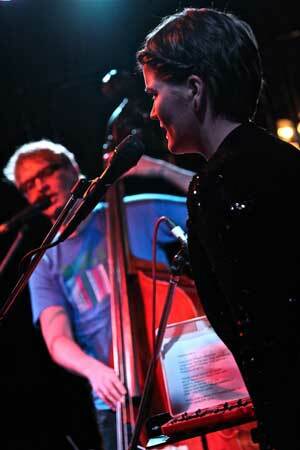 Luke is also the co-founder and coartistic director of the Canberran concert series, Jazz at the Loft. Johan Moir graduated with his Bachelor of Improvisation at the Academy of Music and Drama, in Gothenburg Sweden 2011. He has performed at a variety of festivals and venues including Luleå Blues Festival, Färgfesten, Kulturhamnen, Share Simplicity – Small Bands Festival (Stockholm), Make It Up Club (Melbourne AUS), Nefertiti and Brötz. He won a major prize with his duo Mother Jack at the Melbourne Fresh Showcase competition 2012 for the bands innovative compositions. He has performed with Australian artists such as Luke Sweeting, Casey Moir and sound artist Alice Hue Sheng. In Sweden he has and has had projects together with Lena Willemark (which was recorded live and featured on Sveriges Radio P2), Naoko Sakata, Helena Wahlström and Anton Blomgren. He has toured with various groups in Sweden, Norway, Estonia, Denmark and Australia. He is the composer and bandleader for his own quartet called The Johan Moir Ensemble, is equal partner in the alternative pop duo Mother Jack as well as venturing out with his solo project where he explores acoustic improvisation on both the double bass and the trumpet. Aidan Lowe graduated from The Australian National University in Canberra with his Bachelor of Music Performance, majoring on the drum kit, in 2011. He has performed with various bands and musicians all over Australia, playing festivals such as Wangaratta Jazz Festival, the National Folk Festival, Woodford Folk Festival and the Canberra International Jazz Festival. Locally he has played with Australian artists Katie Noonan, Matt McMahon, Miroslav Bukovsky, James Greening and Katherine Lambert. He has even collaborated with international musicians such as grammy award winning guitarist Jeff Peterson (USA), percussionist Dave Samuels (USA), Anders Åstrand (SWE), Johan Lane (USA) and Alan Otte (USA). He has also been the support act for INXS, Tim Rodgers and Chris Isaak (USA) while he was touring in Australia.